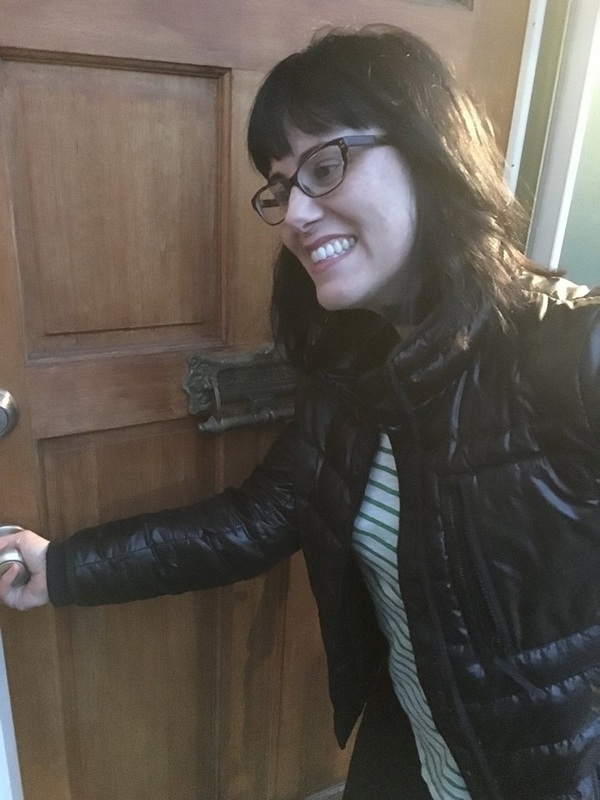 Me, as a proud new homeowner. Five years ago, my 15-year marriage ended and suddenly I was thrust into single parenthood. I had very little understanding of finances since my ex-husband managed them, and I had little knowledge of where the money went or how the money was managed. In hindsight, it’s something that I am not proud of. Sure, I was able to pay my bills, and yes, I was dutifully putting money into my 401(k) retirement account. However, I had no idea what I was doing, I wasn’t really sure where my money was going, and I had no plan. However, I did know I wanted to do something about it. Those first few meetings were a little bit scary and a lot humbling. My advisor asked me to gather financial statements. (Oh dear, my record-keeping system was non-existent.) He asked me to start tracking my spending so that we could create my monthly budget. (Track my spending – that’s ludicrous!). However, the most important thing he asked me was: what are your top financial goals? Thankfully, that was easy for me. I knew I wanted to make certain I was on track saving for retirement. I knew I wanted to start setting aside money for my teenage daughter. But, the biggie – and this seemed completely out there – was that I wanted to buy a home for me and my daughter. He said, great – let’s work towards achieving those goals. I figured between my income and assets and a very competitive Boston area real estate market, buying a home was potentially out of my near-term reach. But, what’s a goal good for if not setting your sights on something big and worthwhile? After a couple of months of working together, I learned a sweet little home in my current neighborhood went on the market. Two bedrooms and two baths (one for each of us girls!) and a fenced in backyard (for the dog!). And walking distance to friends and conveniences. About as storybook perfect as they come. At this point, my advisor and I had made significant process on my finances. But, we were far from done. I went to my advisor and told him that I found a place I wanted to make an offer on, and he told me to go for it. I got pre-qualified with a mortgage broker and put my best and final offer in. I wanted this home. However, more than 50 other people apparently wanted it, too. And the sellers declined the offer and went with another bidder. I was heartbroken, but I figured it was a good exercise to go through. Three weeks later, I got a call from my real estate broker – the other bid fell through and I was the sellers’ next choice. However, they wanted to close in less than 60 days – could I make that happen? The next 45 days were a whirlwind. Moving money around, consolidating three 401(k) accounts, showing statements from my bank accounts, paystubs, life insurance policies. My advisor was there every time I was confused or had questions or didn’t know who to contact or what to ask for. And on December 31, 2015 it happened – I closed on that perfect little house for me and my daughter. Me. I did it! Today I’ve been in my home for almost two years. And, I am so happy. While getting my perfect house was a dream come true, it is only part of what I got out of working with a financial advisor. I learned how to budget. I started saving more efficiently and productively for retirement. I began saving for my daughter. However the greatest takeaway for me was that I gained the confidence that I could do this as a single woman. But, make no mistake, I didn’t do it alone. My advisor was there every step of the way. And for that, I am eternally grateful. Interested in learning how an advisor can help you? Please complete this form and we will get in touch with you shortly.